Vacuum Formed Plastics – Engineered Plastic Products, Inc. Such production techniques allow for the creation of an extremely diverse range of products, though most are limited to a relatively shallow depth. 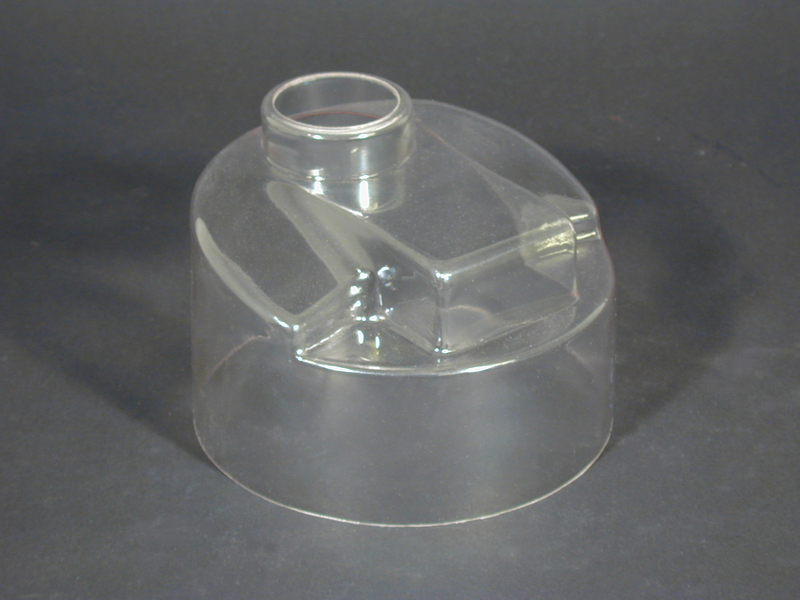 Bottles, containers, shrink-wrap, baggies, caps, toys, computer housing panels and more are common examples of plastic components vacuum formed. Vacuum forming is a relatively low-cost process that allows for the inexpensive production of durable three dimensional plastic components with a high strength to weight ratio. Such properties make these items popular in automotive, medical, cosmetic, food and beverage, electronics, sporting goods, household products, packaging, shipping, retail and telecommunications industries. Application specific properties are easily achieved as a number of different thermoplastics are easily implemented in plastic forming operations. Examples include polyester (PET), used for packaging, high density polyethylene (HDPE), which makes bottles and bags, and polyvinyl chloride (PVC), used for food wrap, vegetable oil bottles and blister packaging. Polypropylene (PP) is also popular for food containers and caps, while high grades of polystyrene (PS) are best for products like disposable plastic silverware, CD cases and cartons. Other materials that may be used in plastic forming services include acrylonitrile butadiene styrene (ABS), acrylics, polycarbonate and Kydex, which is a PVC-based thermoplastic. There are different methods of plastic forming, the most popular of which is vacuum forming. Vacuum forming, also called thermoforming, is one of the oldest plastic forming techniques. The process begins when a plastic sheet of uniform thickness is fed into an extruder. Here the material is heated in an electric, infrared or natural gas heater until it reaches the desired level of softness and pliability. While still hot the sheet is transferred to a forming station where two mating molds made of aluminum enclose the sheet in chamber. A vacuum pump removes all the air from this molding environment, forcing the sheet of plastic to adhere with the mold. After the newly formed part has dried and cured, it is ejected from the mold and trimmed if necessary. Pressure forming and twin sheet thermoforming are slightly different techniques. Pressure forming uses the vacuum environment and additional air pressure to increase the tightness of the sheet to the mold to create more detailed products. Twin sheet thermoforming takes 2 separate sheets of plastic, forms mirror images of each other, and then welds them together, forming a hollow product with a small seam running down the middle. The process chosen depends largely on the intended use and essential properties of the finished product. 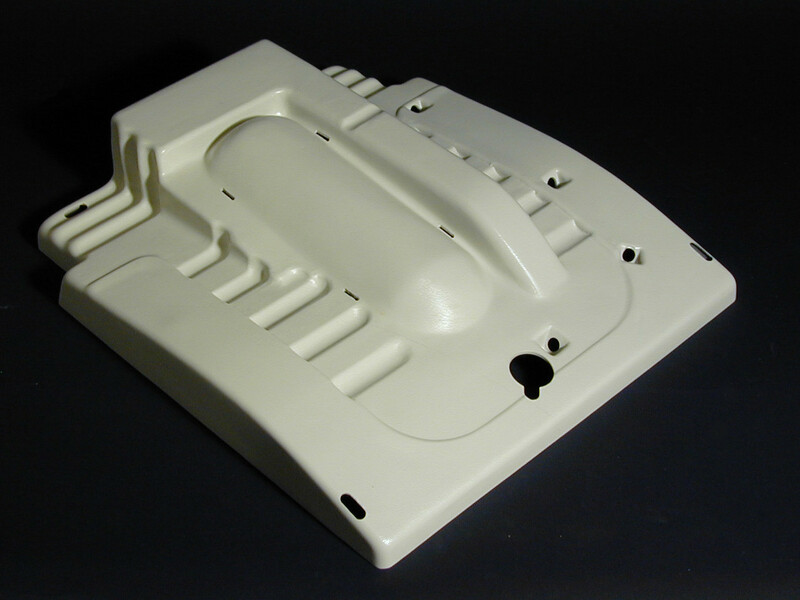 Vacuum Formed Plastics Vacuum formed plastics are polymers manufactured through a number of air reduction processes in which sheets of plastic are heated until moldable and stretched in or on a mold.